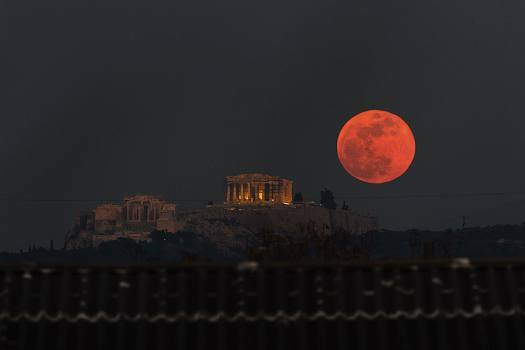 A super blue blood moon rises behind the 2,500-year-old Parthenon temple on the Acropolis of Athens. Our moon is always there, constant amid our feats and follies. 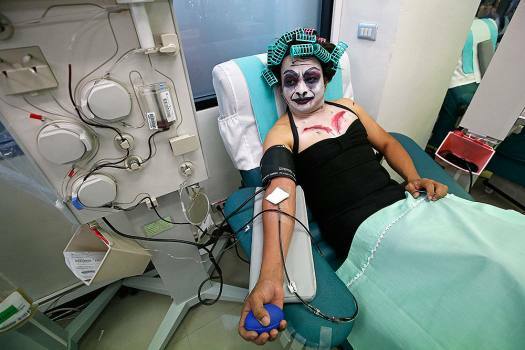 Thanat Chotrat dressed in a ghost costume for Halloween donate blood at the Thai Red Cross in Bangkok, Thailand. 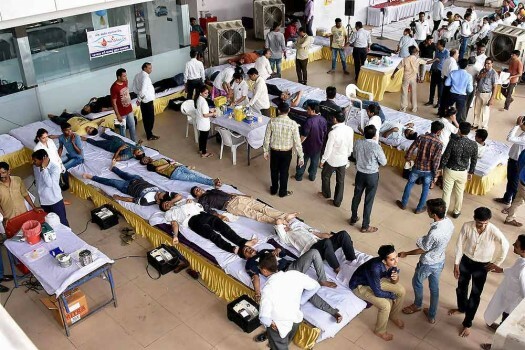 Diamond workes donating blood at a blood donation camp in Surat. On Tuesday, Ramnath Thakur was declared “brain dead” by doctors. 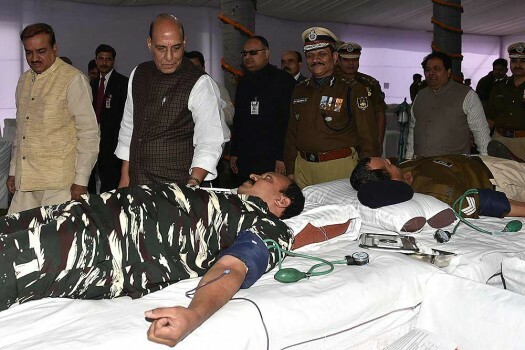 But he donated his liver, both kidneys and cornea to three donors, saving their life.